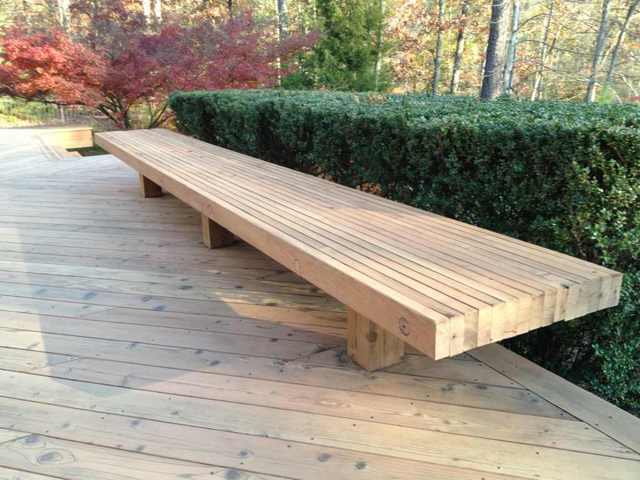 Nice wood always love a redwood deck! How long it take you to sand it? what you staining it with? That redwood probably could have used some brightener after sanding to open up the wood again you just closed it up by sanding. Hi Marc. Long time no see. How's it going bud? Hi Tony. Doing good. Hope y'all are ok! 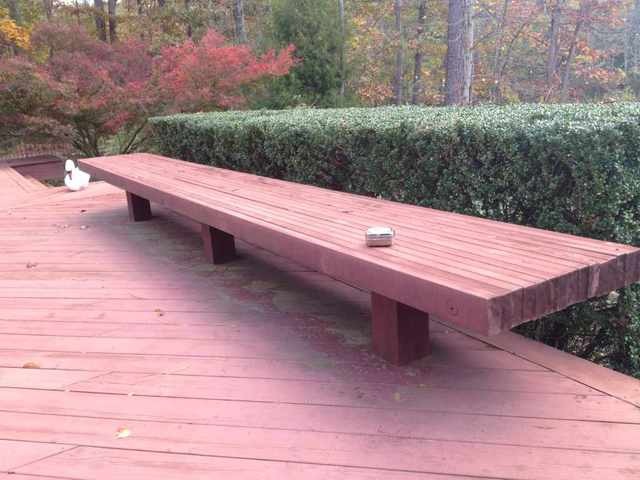 Have a couple of finished shots for the deck restoration we did in Chesterfield, VA. The customer chose a clear, oil based stain. 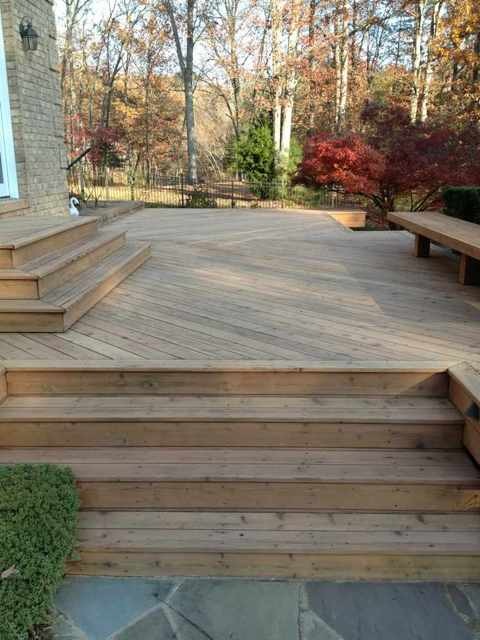 These pics show deck while still "wet". Still haven't had the chance to go back after the stain has cured and lightened. 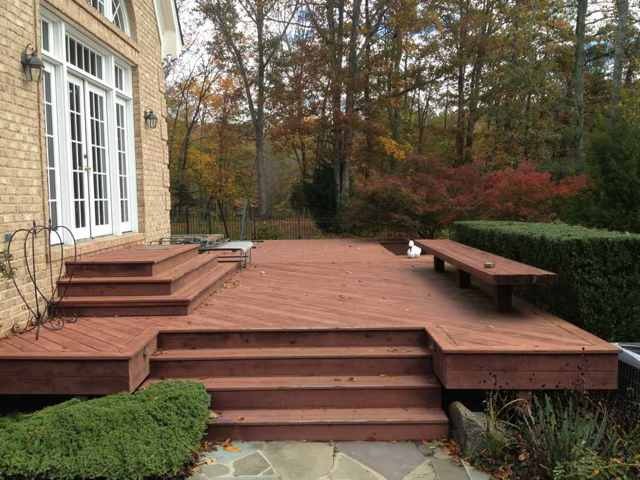 This deck was stripped, nails counter-sinked, sanded, brightened and stained with an oil-based, penetrating clear stain. Looks sweet Marc nice job! That's too bad you couldn't use some pigment instead of just a sealer. I would hate to see that redwood turn grey in 6 months-1 yr ...It's some beautiful wood for sure! How many hours you have in that deck from start to finish? Thanks Shane. I hate to see that too. It took me a week. Worked by myself. That's a lot of work for 1 person but that always makes it more full filling and you should have a customer for LIFE ! How many gallons of stain did that require?